Unlike many of his contemporaries, David Chang has tended to be a cautious incrementalist when it comes to playing the great boom-and-bust game of restaurant-empire-building. While other prominent New York chefs ping-pong around the landscape, opening cookie-cutter fine-dining outlets in far-off fast-money destinations like Hong Kong, Vegas, and Dubai, he’s mostly been content to stay close to home, tending to his own little gastronomic Yoknapatawpha County in the East Village. 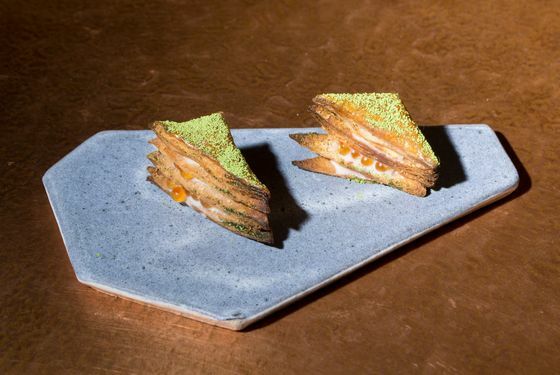 With the exception of one or two new dessert bars around the city, Chang has resisted the urge to spin off the famous Momofuku name (or the even more famous pork bun), and when he has expanded to unfamiliar territory outside the East Village (midtown, Toronto, and Sydney), he’s opened his restaurants carefully, one at a time, in regions with old, settled dining cultures of their own. 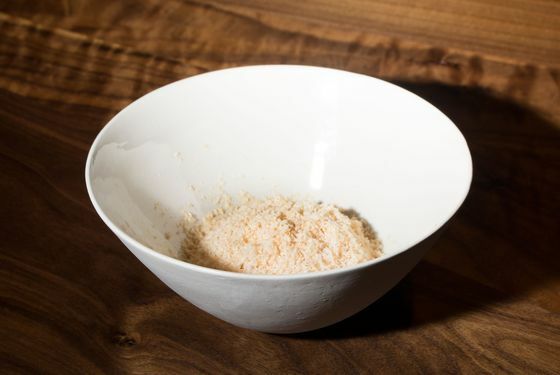 The latest move in this deliberate set of maneuvers is the relaunching of the Momofuku empire’s flagship tasting room, Ko, and by Chang’s standards it passes for a major culinary event. 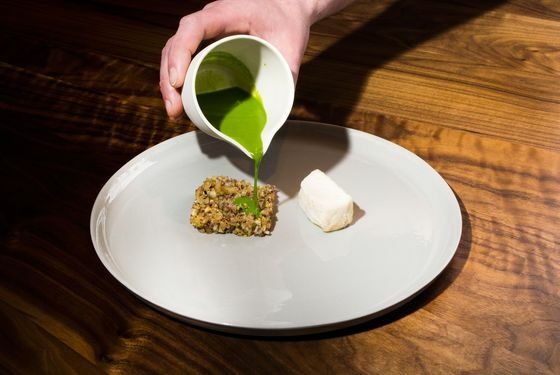 The original Ko, which set off the gourmet-tasting-bar craze when it opened in 2008, and launched the chef into the Michelin-starred stratosphere, used to occupy a snug, 12-seat counter space along lower First Avenue. The rebooted Ko sits on the ground floor of a large, modern, antiseptic luxury rental off the Bowery, which in the last few years has become the East Village’s answer to the Meatpacking District. The room features glittering, state-of-the-art kitchen equipment (the Montague range is embossed with the Momofuku peach logo) and a three-sided, black-walnut-topped dining counter, which surrounds the bustling cooks (who all wear identical black baseball caps) like chairs around a stage. 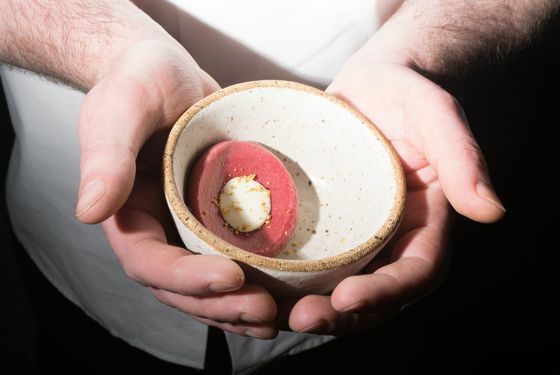 Many of the members of the team are the same, in particular the talented executive chef, Sean Gray, who cultivates a distracted, almost professorial air as he wanders from station to station directing his troops. But the omakase dinner costs $175 at the new Ko, compared with $85 in 2008. The space features a freestanding bar, a souped-up cellar overseen by the very knowledgeable beverage director Jordan Salcito, and an elaborate wine list that includes, among many other things, a bottle of ’90 Dom Pérignon Oenothèque for $1,300. On my visits, the counter was filled with high-rolling gastronauts from around the world, toasting each other with artisanal sakes and flutes of biodynamic Champagne, and on a chilly spring evening, the room can feel less like an intimate New York dining destination than an ambitious new-money wine bar somewhere in the boomtown sprawl of Shanghai or Toronto. Not that this is a horrible thing, of course. 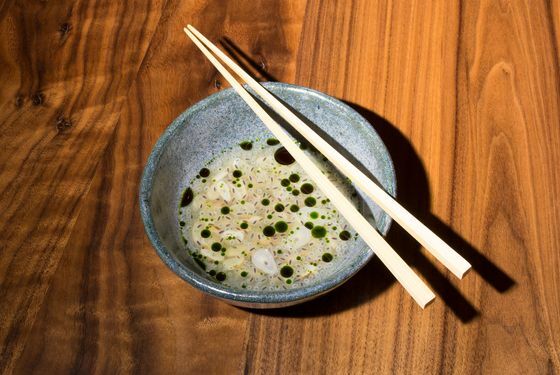 Chang isn’t really a New York cook anymore — he’s an international gourmet celebrity, and the new and in many ways improved Ko has clearly been designed with this new globe-trotting (and “World’s 50 Best Restaurants”-list-­reading) clientele in mind. Unlike at the old Ko (which, according to Chang, will soon be turned into a fried-chicken venture called Fuku), the menu here features at least one new dish every week, with few holdovers from the old menu (though the famous frozen foie gras is accounted for). It’s filled with all sorts of antic food-lab inventions (oyster foam, chickpea “hozon” macarons, rye mille-feuille pastries speckled with matcha powder), and many of the ingredients are drawn from the chef’s far-flung travels, including Osetra caviar from Israel, bee pollen from the apiaries of Connecticut, and even a delicate shiso eau de vie, concocted for Chang by a noted perfume-maker in Provence. This eau de shiso appeared early in one of my dinners, spritzed on a sea bream tartare mingled with jellied fish stock and little finger limes that popped pleasingly on the tongue like some exotic form of citrus caviar. 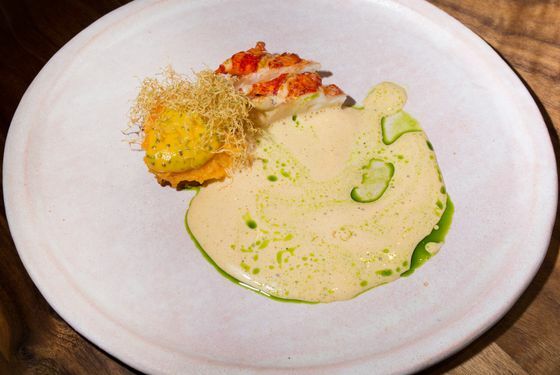 After that came a slippery bowl of scallops floating in pineapple dashi broth, followed by an uni-and-hummus combination, which the kitchen brightens with olive oil and lemon zest for an extra Mediterranean kick. Sushi, when it makes its inevitable appearance, is a strip of silvery Spanish mackerel, gently blowtorched on its bottom for extra crunchiness and pressed, in the oshizushi style, over a little brick of rice layered on the inside with fermented sunflower seeds. There were also sunflower seeds scattered over a beautifully cooked piece of branzino, which I enjoyed after a delicious little pod of agnolotti dressed with shavings of black truffle and filled with ­celery-root cream. On my last visit to this new, more polished, impersonal version of Ko, I sat between an Australian couple and a knowledgeable gastronome from Louisiana. The agnolotti had disappeared, replaced by small, equally tasty tortellini stuffed with Japanese kabocha squash and flavored with smoked duck aigre-doux. The branzino was gone, too (in its place was a soft block of halibut with a watercress jus). The best dish, the gentleman from Louisiana and I agreed, was a crimson slice of venison touched with fermented cranberries and served with whipped potatoes folded with funky Époisses cheese. The desserts were equally accomplished (look for the chocolate cookie flavored with mint and Fernet-Branca), although, as one studied little bite succeeded the next, I couldn’t help pining for a taste of something less precious, more spontaneous, and more distinctly Momofuku, matching the cockeyed power of cereal milk, when it first appeared, or a good old-fashioned pork bun. 8 Extra Pl., nr. 1st St.; 212-203-8095; momofuku.com. Hours: Wednesday to Sunday 6 to 10 p.m. Ideal Meal: The set menu offers no choices, but left to our own devices: rye mille-feuille and pommes soufflés with onions; medai tartare with shiso; soft scrambled eggs with Osetra; branzino or halibut; venison with whipped potatoes; chocolate cookie with mint. Note: Reservations for the two nightly seatings are taken online only, up to 15 days in advance. 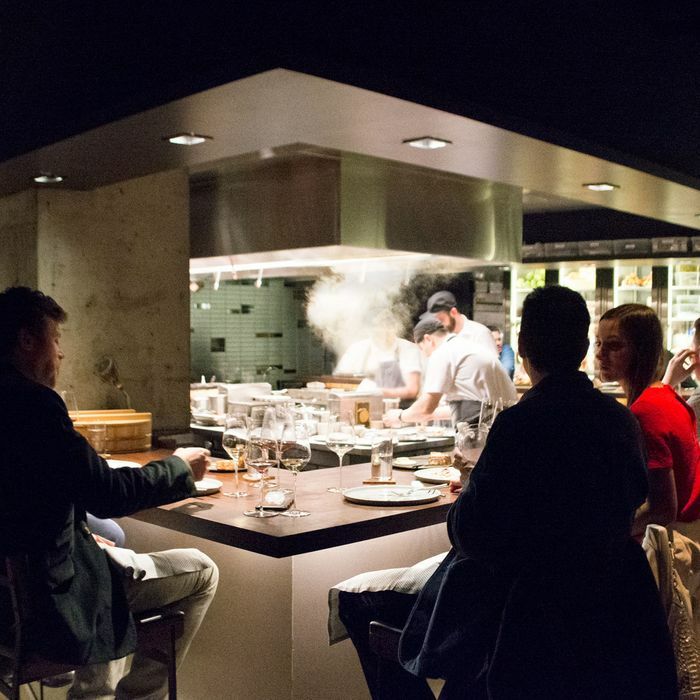 Scratchpad: Four stars for the expert cooking, wines, and service; minus a star for the non-Momofuku prices and the impersonal vibe.